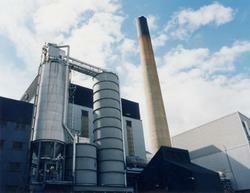 The wide range of Incinerators offered by us fulfils safe burning requirements. Incinerators provided by us are in accordance with the guidelines of specific pollution control boards. Provided with efficient burning zones, our equipment are suitable for all types of industrial, domestic and medical wastes. Solid as well as liquid waste can be easily burned using these incinerators. We are a leading and well recognized name in the field of offering Incinerators. These include Cremation incinerators, Waste Incinerator, Bio-waste Incinerator and Animal Incinerators. Here, our rich industry experience and process knowledge allow us to offer these in different operating specifications as demanded by the customers. For ensuring in them superior functionality, these are fabricated using Mild Steel and come refractory lined and insulated from inside. These high temperature waste treatment systems also known as "thermal treatment" systems work on the principle of converting waste into heat which can be used to generate electricity.